This blog gives an outline of how to add administrators to an instance of SSAS, and how to set whether some accounts are automatically made administrators by default. 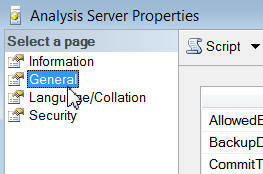 Admini­strator The Analysis Services instance An Analysis Services instance has to have at least one admini­strator. Database An individual tabular database You can create roles in either Management Studio or SSDT, controlling who can see which rows in which tables. 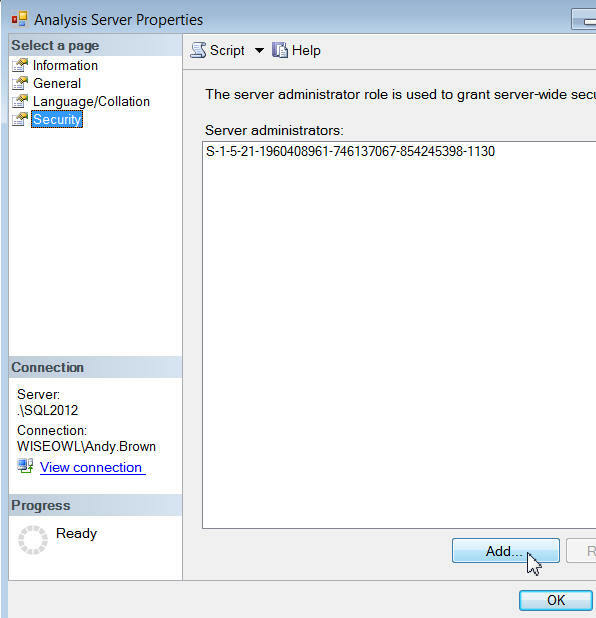 This blog gives an overview of how to set the administrator of your Analysis Services instance. 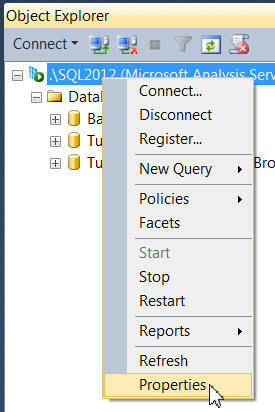 In Management Studio, right-click on an instance of SSAS and choose Properties. Choose to look at General properties. Tick the box shown to reveal advanced properties. 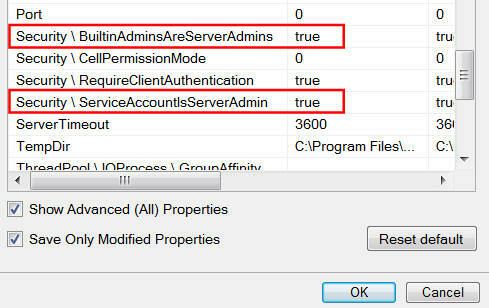 Change either or both of these properties to control who has administrator access to your Analysis Services instance. 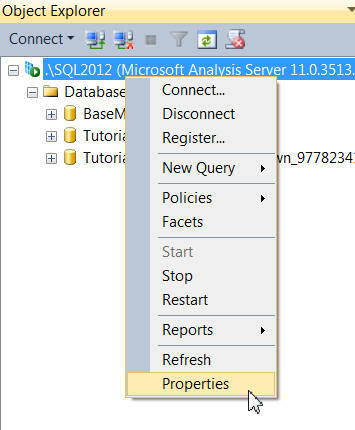 Connect to your Analysis Services database, then right-click on it in Management Studio and choose to change its properties. 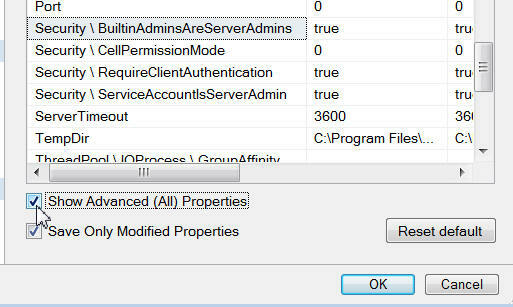 In the Security tab, click on the Add... button to add an administrator to your database. I don't claim to be a SQL Server security expert, but hopefully this will have helped some overworked SQL Server administrator somewhere!